To determine high-resolution computed tomography (HRCT) findings helpful in predicting mortality in patients with acute exacerbation of idiopathic pulmonary fibrosis (AEx-IPF). Sixty patients with diagnosis of AEx-IPF were reviewed retrospectively. Two groups (two observers each) independently evaluated pattern, distribution, and extent of HRCT findings at presentation and calculated an HRCT score at AEx based on normal attenuation areas and extent of abnormalities, such as areas of ground-glass attenuation and/or consolidation with or without traction bronchiectasis or bronchiolectasis and areas of honeycombing. The correlation between the clinical data including the HRCT score and mortality (cause-specific survival) was evaluated using the univariate and multivariate Cox-regression analyses. Serum KL-6 level, PaCO2, and the HRCT score were statistically significant predictors on univariate analysis. Multivariate analysis revealed that the HRCT score was an independently significant predictor of outcome (hazard ratio, 1.13; 95% confidence interval, 1.06–1.19, P = 0.0002). The area under receiver operating characteristics curve for the HRCT score was statistically significant in the classification of survivors or nonsurvivors (0.944; P < 0.0001). Survival in patients with HRCT score ≥245 was worse than those with lower score (log-rank test, P < 0.0001). The HRCT score at AEx is independently related to prognosis in patients with AEx-IPF. 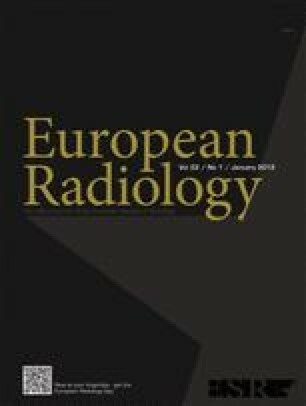 •High-Resolution Computed Tomography (HRCT) helps clinicians to assess patients with interstitial fibrosis. •The main abnormalities of acute exacerbation are ground-glass opacification and consolidation. •Extent of abnormalities on HRCT correlates with poor prognosis. This study was partially supported by a Grant to the Diffuse Lung Disease Group from the Ministry of Health, Labour and Welfare (Japan).